The Galapagos Islands are famous for its unique flora and fauna and especially for the wildlife species. Biologists estimate an average of 750.000 seabirds exist at the archipelago. This is because the cool, oxygen- rich waters are very attractive factors for birds. As like as the bounded endless open sea. Maybe this is as well the reason why thirty percent of the world’s Blue- Footed Boobies live here. The visitors of the Islands can observe the 19 species (5 are endemic) birds that inhabited the Island. 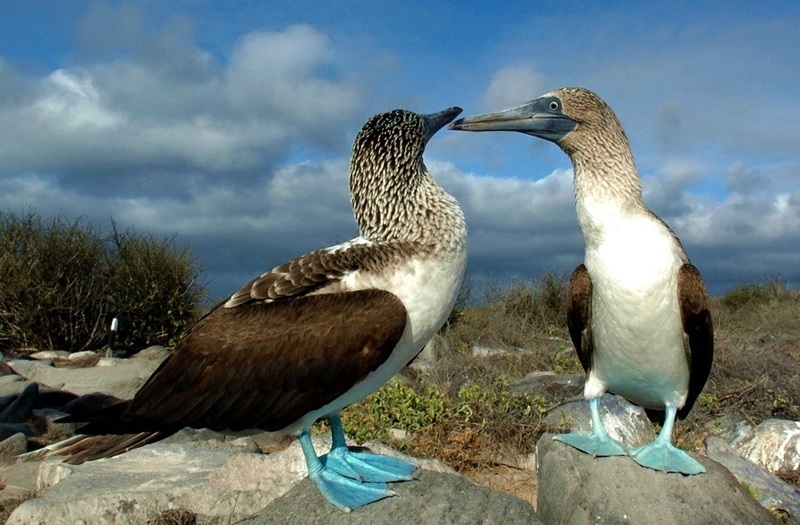 The Galapagos Islands are home to Blue-Footed Bobbies. 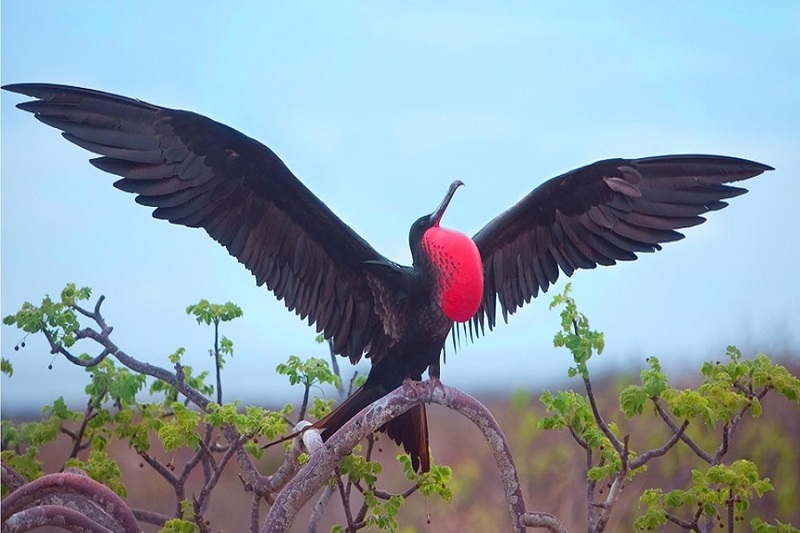 They are one of the most famous birds on the Galapagos Islands. The birds are named for their blue legs and feet. The rest of their body is marked by a long neck, sharp narrow bill and pale brown wings. Normally, they grow to 2.5 to 3 feet-tall, with a wingspan of approximately 5 feet. The females are larger than the males and they also have dark rings around their eyes. On the other hand, males have a pleasant whistle. The Galapagos Islands are also home to Red–Footed Boobies, which are characterized by red feeds instead of blue feet. 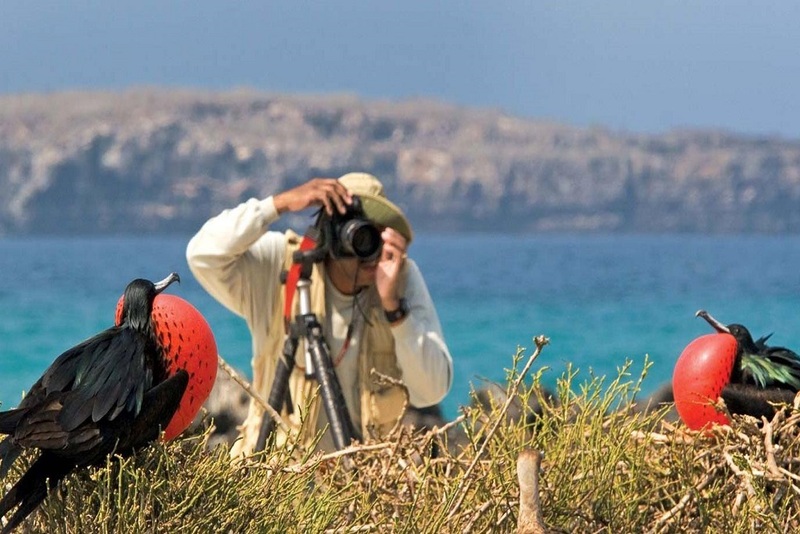 Have you ever heard of frigatebirds? You will also have the chance to see them on the Islands. They have the ability to stay in a single position in the sky. Unlike other birds, they can’t dive underwater to catch fish, as they do not have enough oil to waterproof their feathers. Therefore, they are only able to catch their prey with a long hooked beak.Another interesting fact about them is that they have the longest wingspan of any other bird in the world, measuring almost 8 feet long. 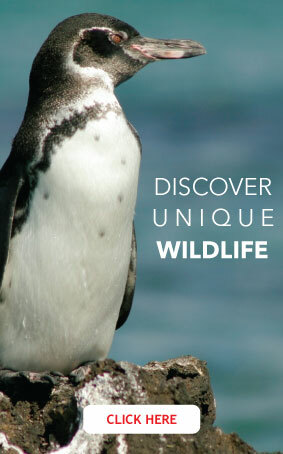 The endemic Galapagos Penguins are the only penguins that live north of equator. 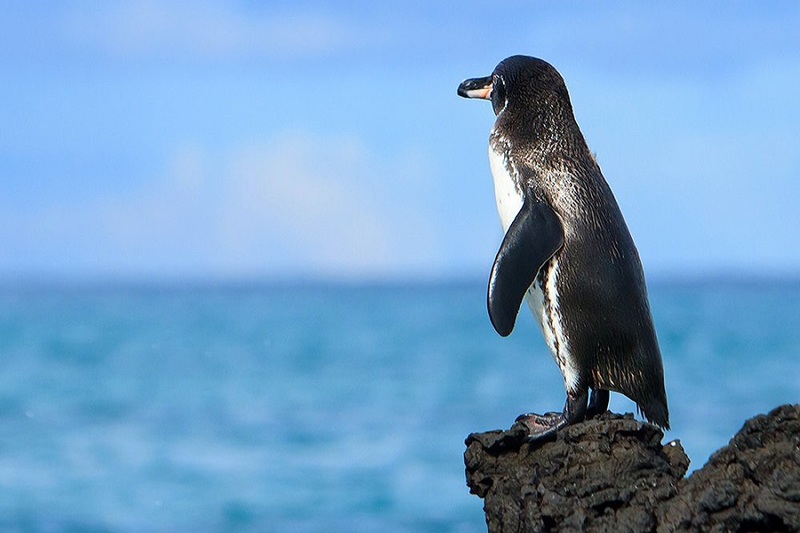 The average penguin is approximately 49 centimeters-tall, and weighs about 2.5 kilograms. The best way to appreciate these amazing animals is to snorkel with them in the water, while observing their amazing speed underwater. The Waved Albatross is another amazing bird that is common in the Islands. They can spend a long time at sea without touching land. Their average weight is between 3 and 4 kilograms. They are characterized by a creamy yellow crown and neck. Their bodies are mainly chestnut brown, with a white underwing. These are just a few of the bird species you can find on the Galapagos Islands. If you are interested in seeing all of the species, we invite you to contact our travel experts to start planning your next Galapagos Islands Adventure.